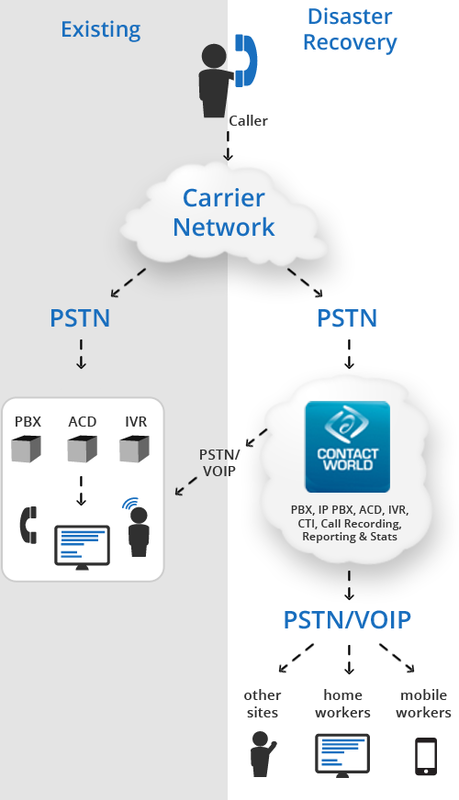 Cloud Contact Center is basically an practical extension of Communication as a Service (CaaS). Let us see what a Cloud Contact Center can offer for business. You might want to read about Communication as a Service in this context to understand the operative principle of a Cloud Contact Center. Let us imagine a physical contact center. Hustle bustle of bodies, computers, telephones, cables and noise. Now, try and picture the infrastructure that is needed to power that contact centre – this what a state of art Cloud Contact Center can offer. As simple as Apple’s design in front, huge technology working behind. As virtualization technology has made the whole thing, the contact centers are often referred as being cloud based, this one of the main reasons is the attractiveness and simplicity of that image. The bundles of humans and wires, dumps of computer (usually economy grade Windows PC with the risk of getting malwares) will not run in a physically owned contact center; just like in case of our Datacenters. We frankly need not to care about that management part in case of server or datacenter. You can choose how your calls are handled, how they are directed and how your queues are managed. You can also configure how out of hours calls are dealt with and instantly access real-time data on call management. It is basically not possible for everyone to manage the technical difficulties oneself, the investment becomes not only of onetime, but it becomes unpredictably recurring. Another most important point about the Cloud Contact Center services like from ContactWorld, you can actually combine with other Cloud Based services, like that with SalesForce. Cloud Contact Center is basically not a beautiful showpiece or buzzword, it actually compact the main business. Tagged With what is a cloud contract centre? This Article Has Been Shared 1223 Times! Cite this article as: Abhishek Ghosh, "Cloud Contact Center : Operation and Importance," in The Customize Windows, November 30, 2012, April 21, 2019, https://thecustomizewindows.com/2012/11/cloud-contact-center-operation-and-importance/.